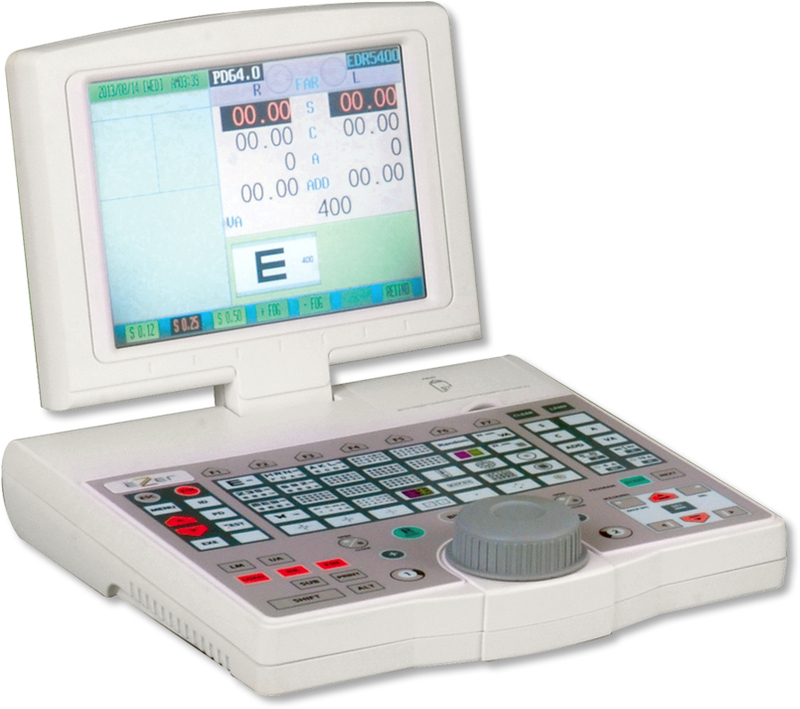 With Ezer's EDR-5400 Digital Refractor, you can preform all of the functions you normally would in a manual refaction, but now you can do so while seated comfortably in a chair beside the patient. 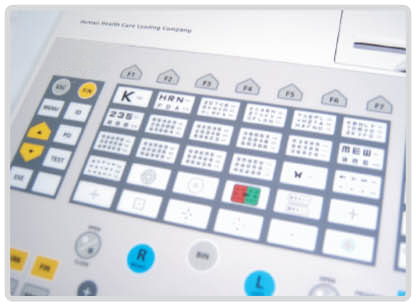 Ezer EDR-5400 will seamlessly adapt to your practice. 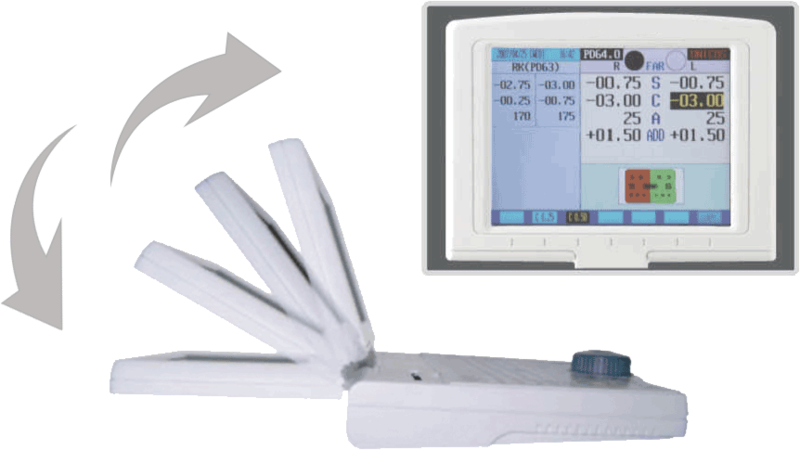 The 6.4" Full Color LCD features a tilt mechanism that allows users to clearly and easily read the data while either sitting or standing. The EDR-5400 offers surprisingly quick lens conversion speeds, allowing you to zero in on the most accurate, precise vision correction. The EDR-5400 allows for a more convenient, prompt acuity test with one built-in System Defined Program as well as 11 Custom Programs. It supports 29 System Unit Tests in total. The EDR-5400 also offers 6 test modes that allow you to directly compare your objective test results with the subjective test result. The helpful Compare Mode allows you to directly witness how the results of the subjective vision test differ from those measured by the Ref/Keratometer and Lensmeter. The EDR-5400 features a Dual Cross Cylinder Lens that allows users to quickly and conveniently perform astigmatic testing. 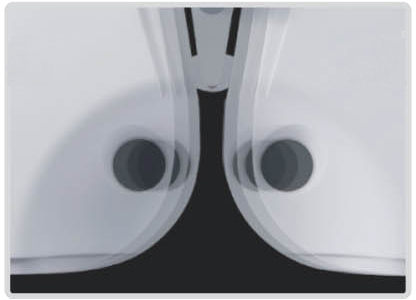 The Automatic Occlusion function ensures comfort and precision during astigmatic testing. It prevents accommodation while the lens is rotating more than 45 degrees and when the test mode is changing. The EDR-5400 automatically converges and transitions to binocular measurements when the near point rod is lowered. You can easily adjust the PD from any mode. When the test mode is changing, between far and near, the PD is automatically calculated and set. The EDR-5400 brings various devices together on one network, using a single cable. Connect your PC, the ECP-5400, and the ERK-5400 or ERK-7800.